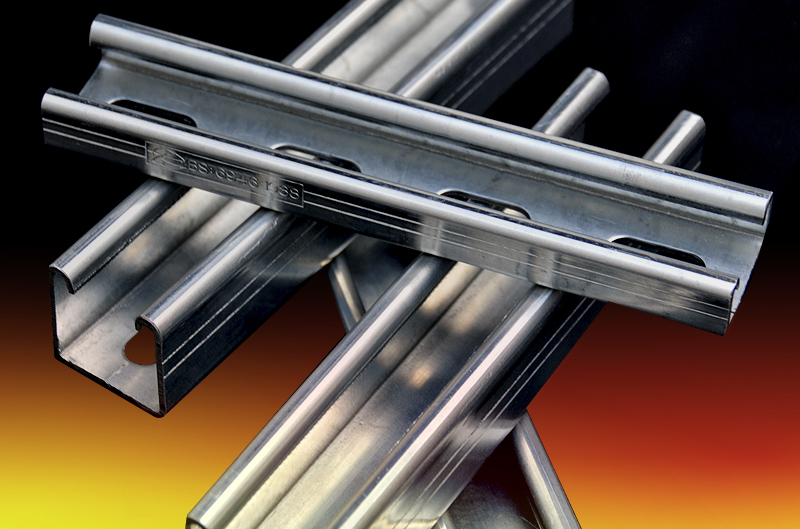 Strut Framing channels manufactured in house to BS 6946 1988, from Prime Hot Rolled Pickled and oiled S275 minimum yield-steel, Galvanised after manufacture to BSEN ISO 1461. We offer the following sizes in stock lengths of 3m & 6m. All our strut channels can be supplied plain or slotted (slot sizes 28x14mm). Extensively stocked for a fast delivery to customers premises or direct to site. Supplied direct to mechanical and Electrical distributors and Wholesalers, who source from a supplier, they can count on to deliver to schedule?